We covered quite a bit on todays call – traffic and lead capture – were high on the agenda as always. You may notice some technical issues in the recording… a wanky connection during the start of the call, please stay tuned in as the quality improves as the call progresses. I did mention some resources which I have included links to below. This is an old example – please don’t get hung up on the copy but look at the format and structure. If you’re one of those people, I have good news for you. covered a topic that might have seemed obvious – UNTIL NOW! and created an ebook on…… How to create audio ebooks! Sell and Distribute Audio Ebooks in Only Minutes! multimedia products in only minutes. Even if you are camera shy and don’t want to say a thing! useful in it to create your own line of products in only minutes. on exactly how you can create big profits with your own products. Every info-publisher should have a copy of this multimedia ebook. There’s three special bonuses attached to the book! This is just an example of course.. you can simplify it so that visitors are offered a special report or sent to a landing page that you have setup to capture email addresses. Got questions? Let’s talk about It in the group. What’s the Best Way To Bundle or Price Your Courses? There’s 3 things you should consider after listening to today’s Podcast – Another Secret From the 52 Secrets My Mom Never Told Me About Internet Marketing. But is that model best fit what you’re trying to teach? Does it best server the students you have? All tough questions and things you’ll learn with feedback from students of your courses. I’ve tried and tested a number of ways to bundle courses or restrict access and that’s what I’m sharing today. What’s the Difference Between Hand Holding and Coaching? 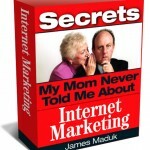 Find out in today’s Podcast – Another Secret From the 52 Secrets My Mom Never Told Me About Internet Marketing. When I first started online there were very few…. if any Women marketers who were selling courses about Internet Marketing. ( There’s one major exception which I mention in the podcast). With 50 % of your market potentially being women… It might be a good idea to take a look at why Women Market Differently than Men. … and you’ll be able to sell your courses online in about 15 minutes! This is a special announcement for Coaches, Consultants, Speakers and Subject Matter Experts who want to sell their own courses. If you want a turn-key ready to go WordPress Campus complete with everything you need to train your clients and students online I’d like to help. I have a new ready to go version of my “FullContact Courses” site that I’m installing for 5 of my existing clients. Everything’s included – A fully featured WordPress Site with the LearnDash LMS software installed, BbPress Forums, And event Calendar, Podcasting Plugins and of course the PageLines Drag and Drop Theme. Listen to the podcast above, and then visit the Campus site to ask questions. Listen to the podcast above, and then visit the Campus site at http://www.fullcontactcampus.com to ask questions. Facebook Traffic Drying Up For You? Big Brands are starting to leave Facebook, wondering why? Listen to todays podcast and learn the secret to generating long term traffic for your WordPress Blog and protecting yourself from the ebb and flow of great free traffic sources. I’m counting on the end of great free organic traffic being free on Facebook and I’ll share the strategy I’m using so listen in. Read moreFacebook Traffic Drying Up For You? WordPress Focused Marketers Spend Less Time With Their Customers! I know it’s tough. You are by yourself, starting or trying to run your business and WordPress stuff keeps coming up. What should you do? Spend time managing the look and feel of your WordPress Blog? Perhaps you hear about a new billing system or membership plugin that all the other coaches, speakers, consultants and marketers are using that does just about everything you need done. … all it will take is a week of your time getting setup and running the way you want right? Description: I golfed for the first time yesterday with my son Greg. Greg’s new to golf and like any new golfer is extremely frustrated. While I’m not bound for the PGA, I can get around most courses without getting into much trouble. Trying to explain how “golf works” to Greg I realized that good golfers are often good marketers. Think about your first visit to the Golf course or driving range. Any hole-in-ones??? Did every club and shot come easily and without effort? This is exactly the same as your marketing and business. It’s a learning process. Golf and Marketing use the same principles. 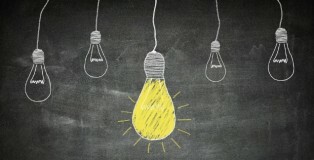 Learn one and I’m betting you can apply how you’ve learned it to the other! My Internet Radio station “Internet Radio” streams live 24/7 with WordPress and WordPress Marketing interviews, tips and case studies. It’s almost like having a full-time salesperson at my disposal. Until today my salesperson has been handcuffed by the fact that I wasn’t allowing him/her to do any selling. I didn’t have any ads playing in the live stream. Do you have a Digital Exhaust? You bet you do and you better be capturing it! Listen to today’s podcast and you’ll learn a simple way to create unlimited info products from your digital exhaust. Next time your working on or near your computer/smartphone/tablet think about creating your next product.